This cemetery was started by John H. "Rutabega" Johnson. He was a second cousin of President Andrew Johnson. His family came to Texas in 1861. He was a staunch Democrat and was known for his fiery political newspaper articles. He was a senator from Collin County for 2 terms and helped draw up the new Texas constitution in 1875. He is credited with getting the Homestead Law passed in 1875. He was the father of 12 children and owned 200 acres of land east of McKinney. One of his sons told him that when he died he wanted to be buried "under that old elm tree by our deer-stand." The deer-stand was on the northeast corner of the Johnson farm. 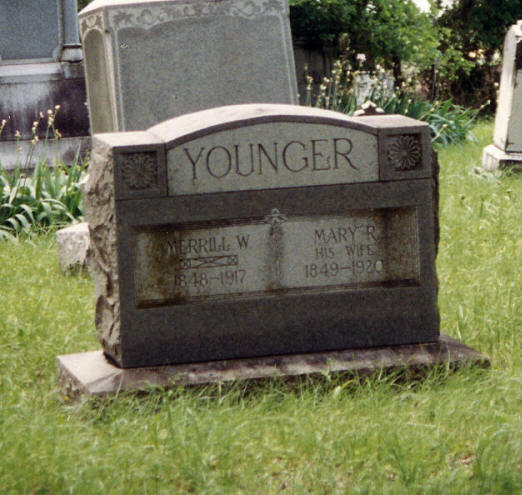 The boy died during the Civil War and was the first burial in the cemetery. This is an isolated cemetery in a grove of trees in a field. It is fenced and has a double gate. The cemetery has massive headstones. The stone for Johnson is around 12 feet tall and is probably the tallest marker in Collin County. None of the stones tilt. The cemetery is fenced and well cared for. No deed has been found for the cemetery.